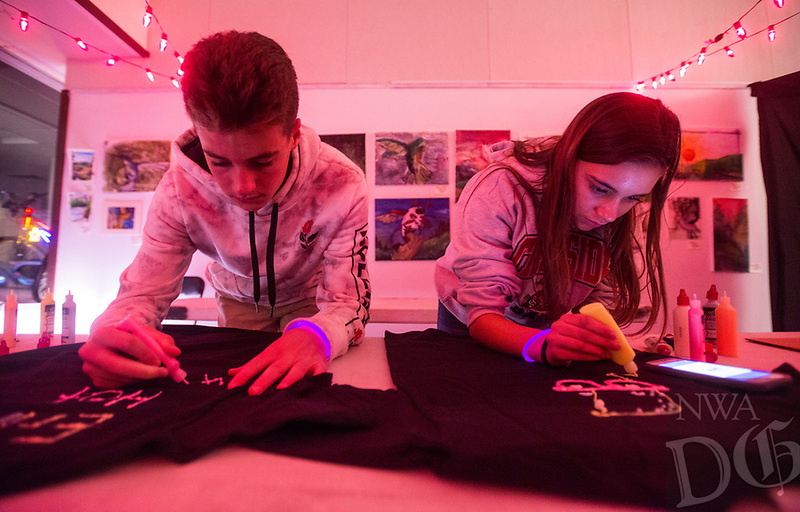 Mason Sage of Bentonville and Erika Mansfield of Rogers decoate T-shirts with glow-in-the-dark paint Thursday, Nov. 8, 2018, at Rogers Experimental House during the 'Light Up the Night!' one year anniversary Art on the Bricks art walk in downtown Rogers. More than 25 artists and musicians opened pop-up galleries selling their artwork at downtown shops and restaurants. Go Downtown Rogers hosts the walks on the second Thursday of each month.